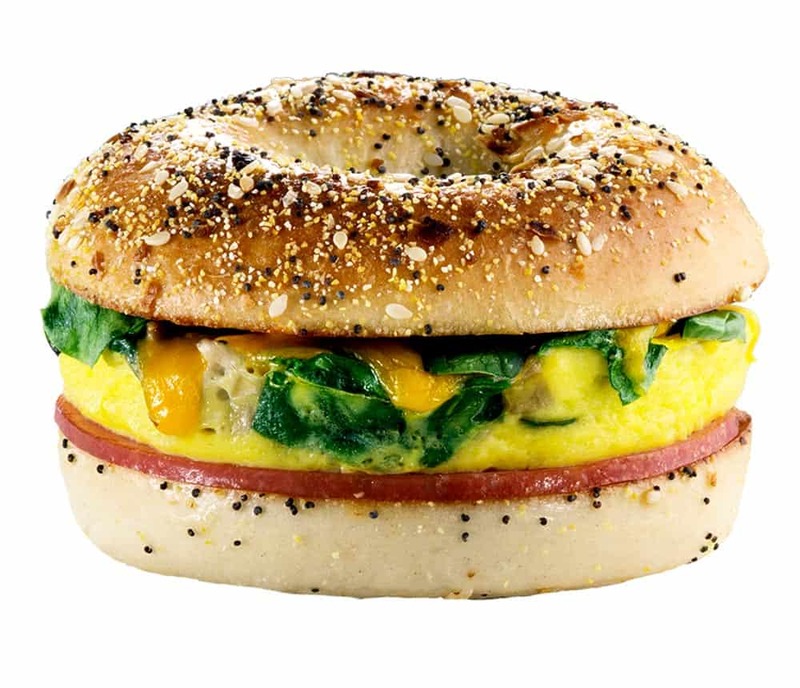 This Spinach and Mushroom Bagel Omelette is loaded with protein. What a nutritious way to start your day! Our spinach and mushroom omelette is made with fresh eggs, spinach, mushrooms, shredded cheese, and a sausage patty, bacon or a full slice of ham – all from Braum’s Fresh Market. Then, it is placed on a toasted plain or everything bagel. The choice is yours!